You will find the most flight options into LAX, but the Burbank (BUR) airport is also an option. Lyfts, Ubers, Taxis are all easy to grab. Both airports are about 12 miles from West Hollywood, but depending on time of arrival, you can expect a 45 minute drive. It may take longer if you land between 3PM - 7PM. There are plenty of options in Los Angeles. 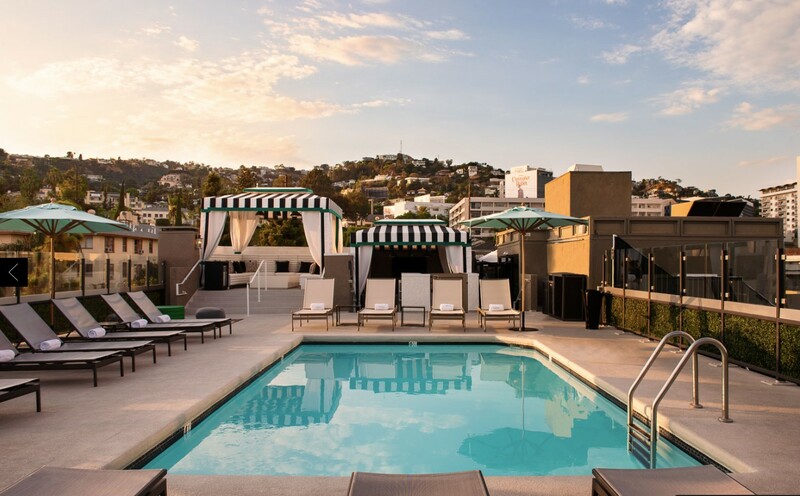 If you'd like to be close to the wedding, we recommend staying in the West Hollywood, Hollywood, or Studio City area. If you stay elsewhere, please be sure to allow ample time to get to the wedding and note that there will not be parking available at the venue. For your convenience, we've partnered with The Chamberlain hotel for discounted room blocks. It's close to the venue and offers spacious suites that are fit for families or groups. Fun fact: There was a wedding dress boutique doing a pop up in this hotel where Jill, along with her Mom and Sisters, found THE dress! They also stayed two nights, so we are quite fond of this hotel :). Please see the FAQ or What to do in LA pages for additional travel information.